Shop Direct, the Liverpool-based online retailer behind brands including Very.co.uk, has appointed Derek Harding to its executive board as group finance director. 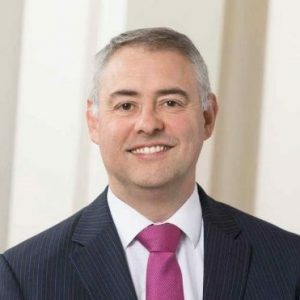 Harding will join later this year from Senior PLC, the FTSE 250 international engineering group, where he has held the role of group finance director since September 2013. Prior to joining Senior, he was at Wolseley plc for 11 years, most recently as finance director of Wolseley UK. Before that, he undertook a number of group roles for the FTSE 100 company, including group financial controller, director of group strategy and investor relations, and head of mergers and acquisitions. At Shop Direct - where underlying pre-tax profits in the year to the end of June 2016 were up 43.6% to £150.4m, while sales grew by 4.3% to £1.86bn - he will report directly to group CEO, Alex Baldock, assuming the position currently held by Greg Pateras. After nearly 10 years with the business, Pateras will leave in July to explore new opportunities. Baldock said: “I’m delighted to be welcoming Derek to Shop Direct as we step up our transformation to a world class digital retailer. Harding said: “Shop Direct has achieved a remarkable digital transformation and driven strong and sustainable profit growth thanks to its focus on strict controls and a shrewd investment strategy."